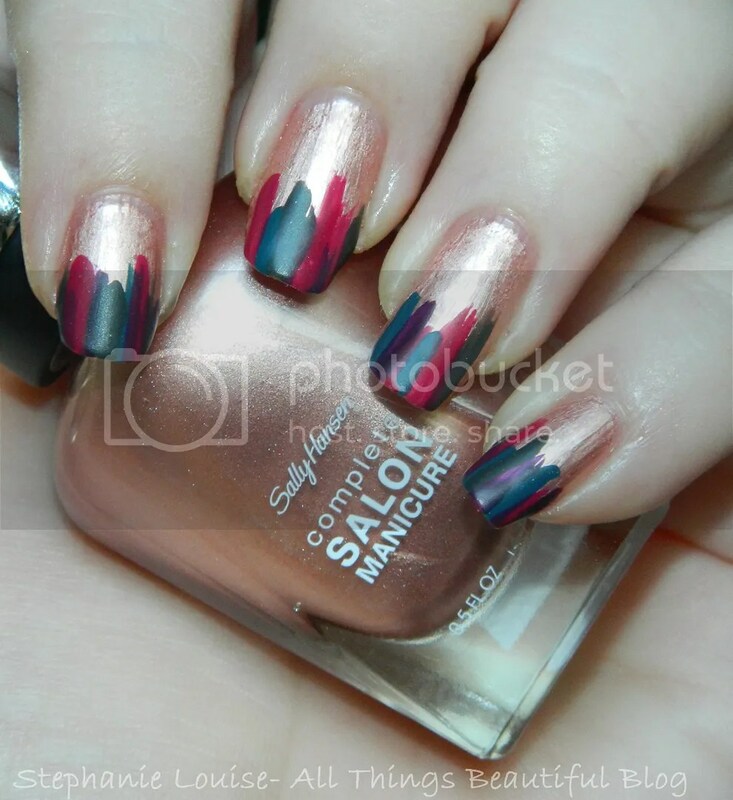 Nail Art: Easy Fall Brush Strokes + Matte! PR Sample. I bought it. I love easy fall nail art! Fall colors are just so rich & fabulous. 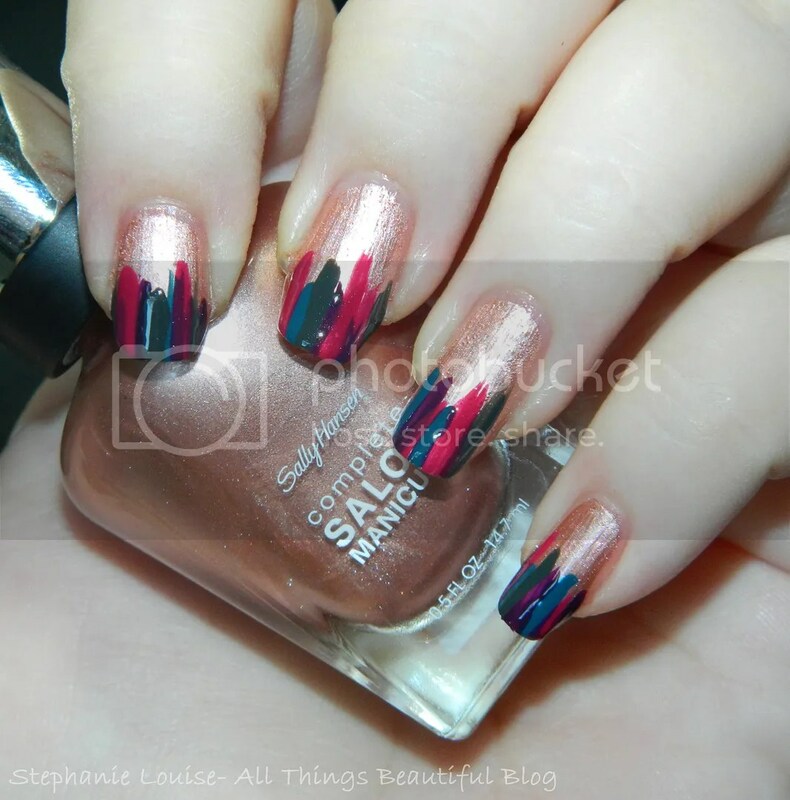 I wanted to show some really easy nail art & stuff doesn’t get much easier than these random length & width stripes. I picked some fall-ish colors & had to use Sally Hansen Gold Roses as a background. I still just love this color & hate that it is limited edition! If you haven’t seen my swatches of this shade check them out! 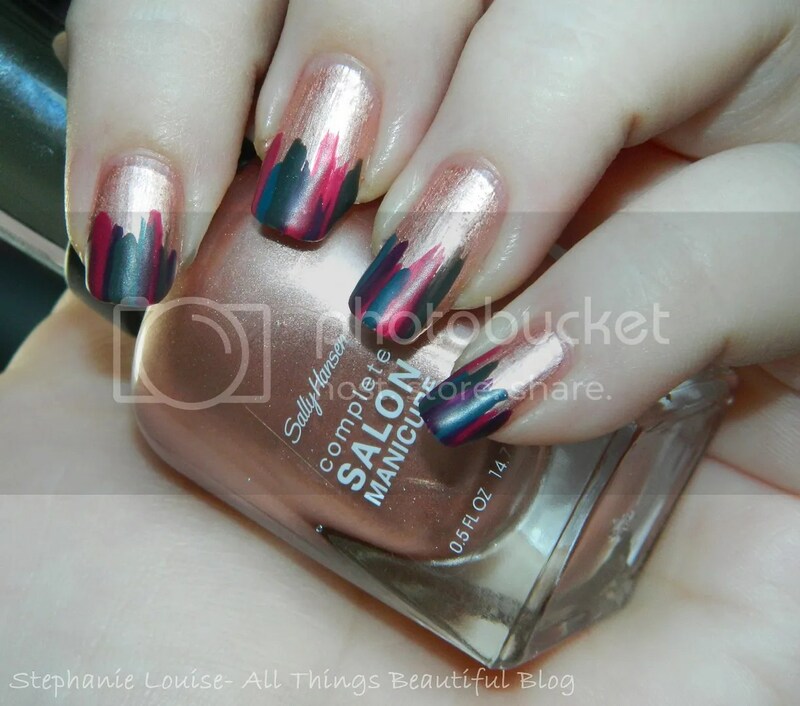 & without further chatter here are my easy shiny & matte fall brush strokes nail art! I’ll link the shades I’ve swatched below in case you want to see them on their own! I love all of these shades & the way they came together. & here it is mattified! I used Butter LONDON Matte Finish. 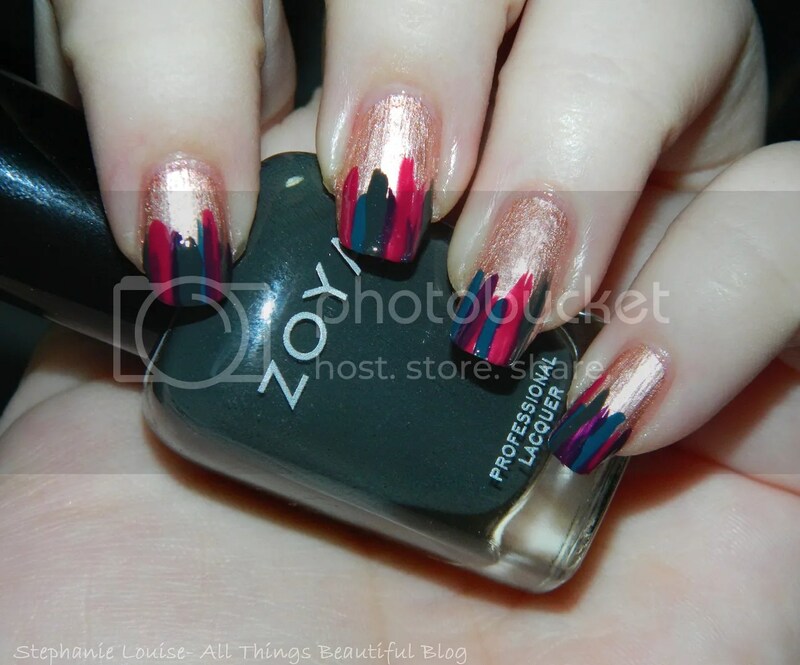 Surprisingly…I totally dig this matte! I think it adds more interest to the stripes since you honestly can’t keep that gorgeous rose gold base shade down, it is vibrantly awesome & truly rose gold no matter what! Love! 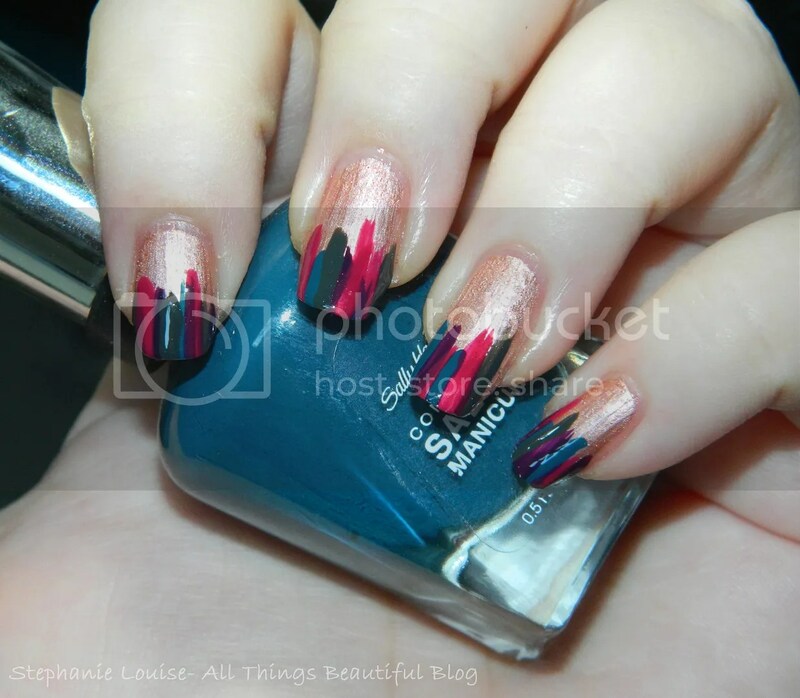 I hope you guys enjoyed this, I’ve been trying to come up with some easier nail art (as you guys have requested!) so I hope this was quick & easy! I’d love to see if you try something similar & I think I might try a holiday version later on as well!